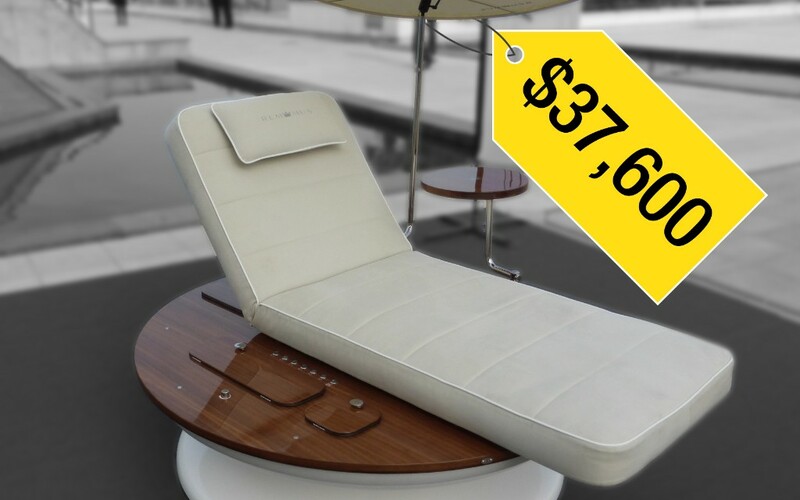 Luxury sun lounger: This high-end sun bed from the Finnish firm Remmus automatically rotates to face the sun, ensuring dedicated sunbathers don't have to endure the agony of repositioning themselves throughout the day. The battery-operated lounger features Bose speakers, a beverage cooler and a station for smartphone charging. It also has a "service button" to summon Jeeves. Remmus calls the lounger a "revolution in luxury sunbathing." The lounger was on display in Monaco at the annual luxury car show Top Marques in mid-April.